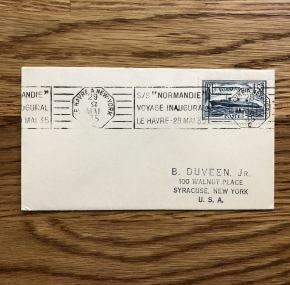 A maiden voyage postal cachet for CGT’s Normandie. 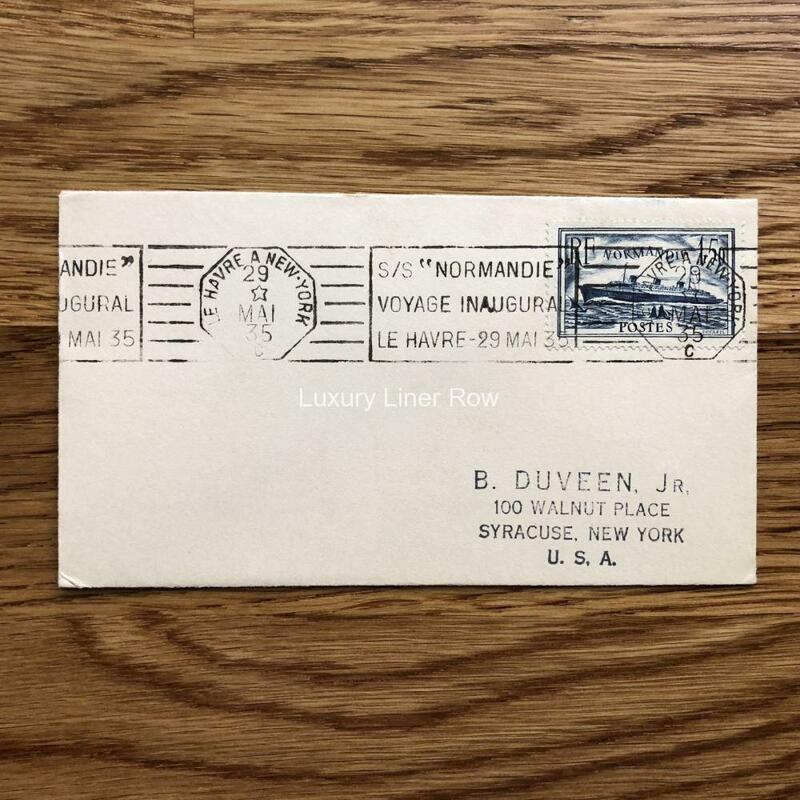 Postmarked in Le Havre May 29, 1935, with a special Normandie stamp. Still sealed.